The AJH Synth Sonic XV Eurorack module is a four pole Diode Ladder Filter, featuring the circuitry and sound of the Musonics Sonic V synthesiser, which has a quite different character from transistor ladder filters. 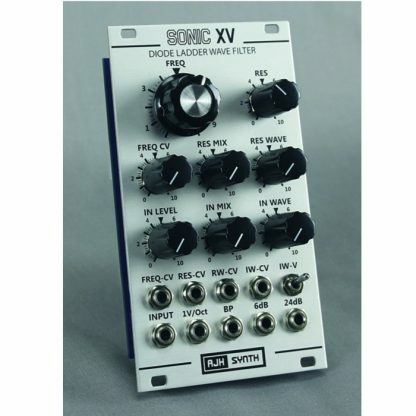 In addition to the regular 24dB Low Pass output we have added a 6dB Low Pass output and a Bandpass output, along with full voltage control of the resonance. Two waveshapers have been added to hugely increase the sonic versatility of this module. 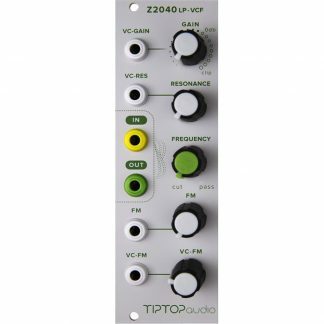 There is a breakpoint based wavefolder on the input, with drive level that can be manually adjusted or voltage contolled. 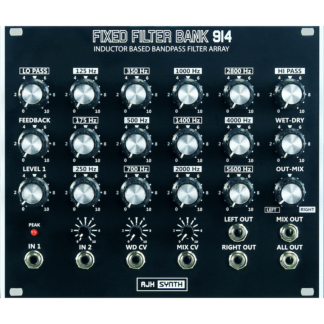 A bias control switch allows extra waveshape variations. 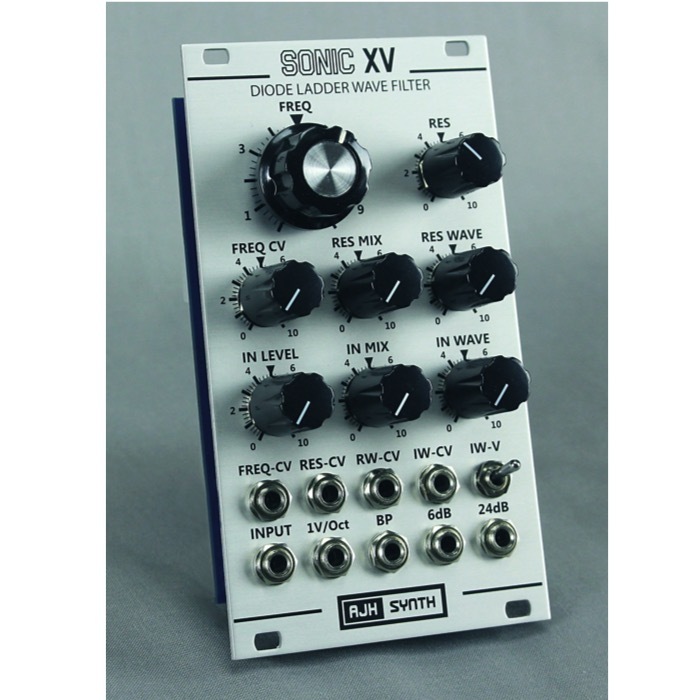 A second waveshaper is connected to the resonance circuit, which adds distortion and waveshaping to the resonance loop signal, again the drive can be adjusted manually or under full voltage control. 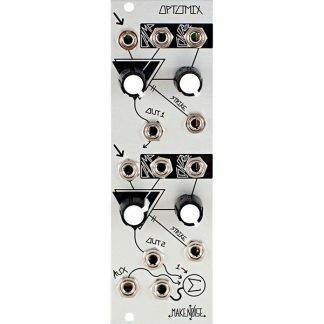 A wet/dry mix control allows resonance waveshaping to be added from 0 to 100%. 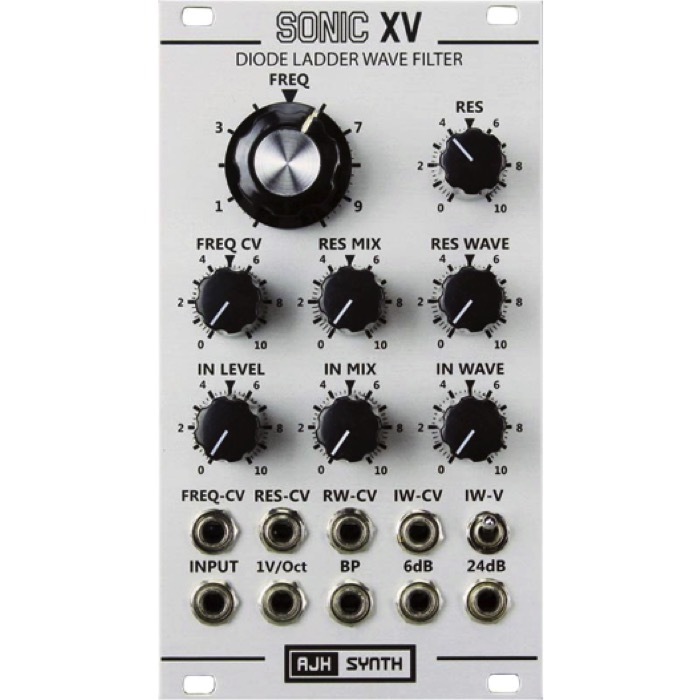 These additions take the diode ladder fllter core way beyond it’s original function, it becomes a “filter” module that can add harmonics and shape waveforms rather than simply filtering them. 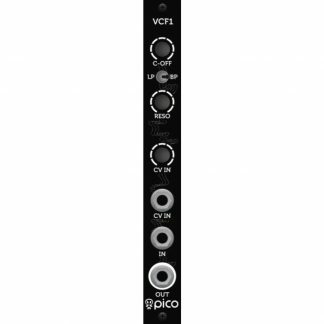 With four independant CV inputs very complex filtering and waveshaping sounds become possible.